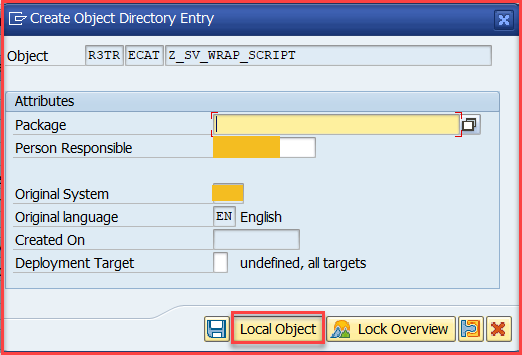 In this blog let’s see wrapping/combining of ECATT & START scripts. 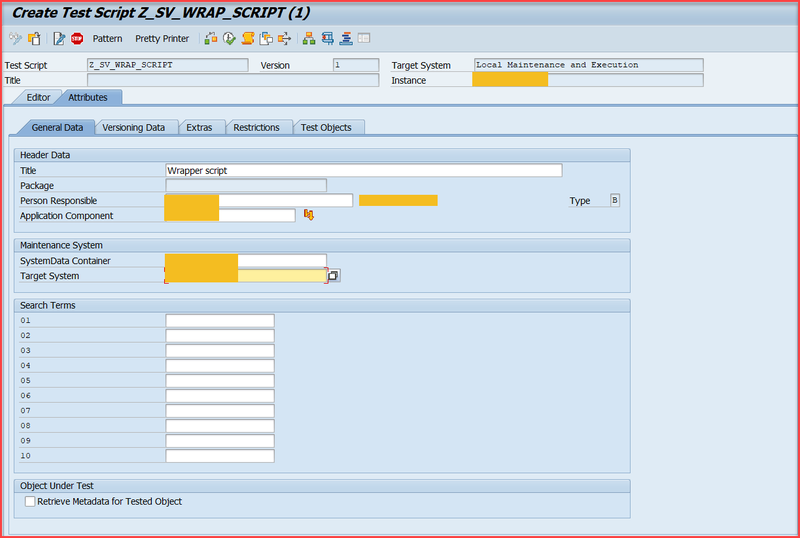 In general, Ecatt scripts are used for recording SAP GUI screens and START scripts are used for recording FIORI Applications. In many cases end to end scenarios can not be covered in a single script. So, in such cases we record multiple scripts and can combine them into a single script which covers the complete scenario. In the following example we use transaction SECATT for creating ECATT and wrapper script, where we can combine both ECATT and START scripts (or two ECATT or two START scripts) to test or execute the business flow accordingly. In the following example, we first create an ECATT and then START script. Later, combining both to form a wrapper script. For instance, consider the following steps. Go to SECATT transaction code. 2. 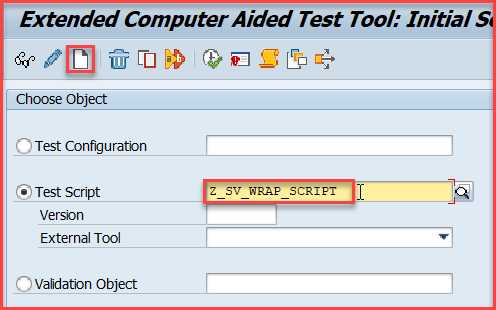 Enter the script name (recommended to use Z as it is identified as user defined script) and click on create icon. 3. Enter the Title, Person Responsible, Application Component. 4. 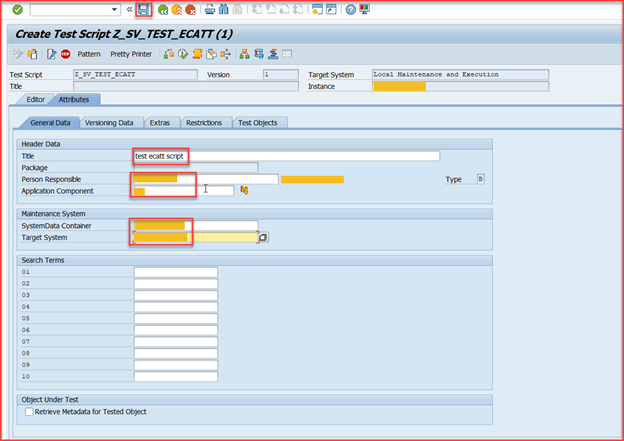 Enter the SDC (System Data Container) and Target System (if available). 6. 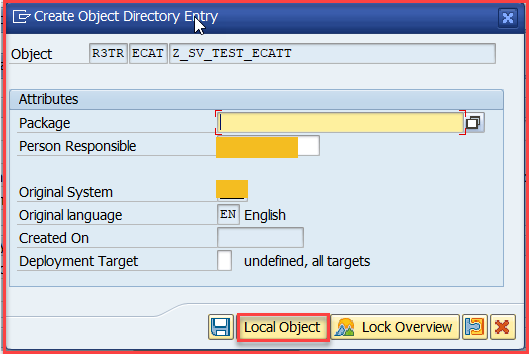 When promoted to Create Object Directory Entry dialog box, select Local Object. 8. Enter the Group and Command with Target System. 9. 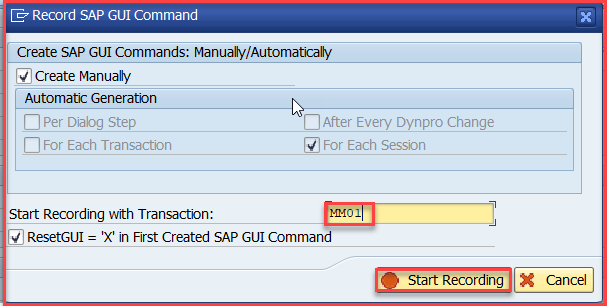 When Record SAP GUI Command dialog box appears, enter the transaction to be recorded (for ex: MM01 transaction). 11. 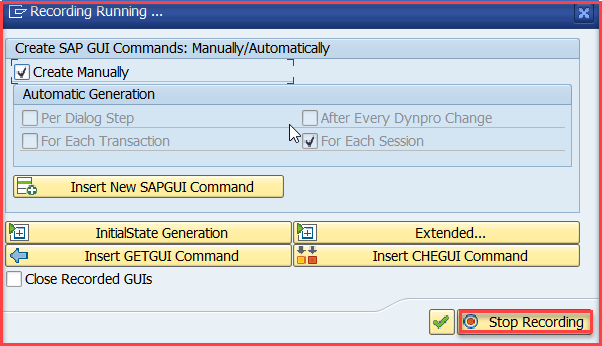 Select YES in Record SAP GUI Command screen to start recording in new session. 12. 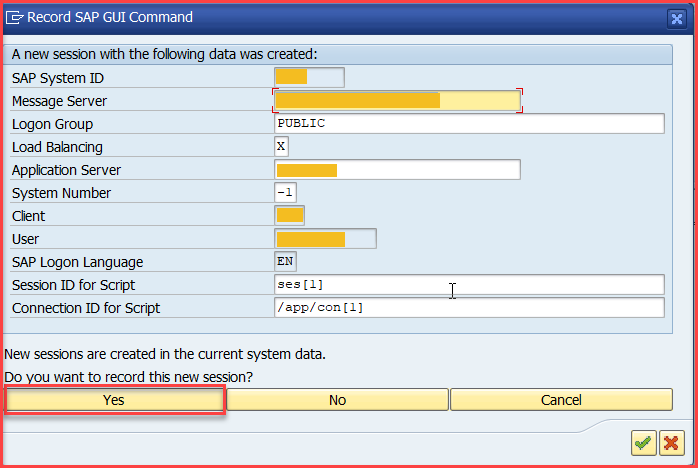 Select NO in Generation of RFC destination dialog box (because the RFC destination is already mentioned at the time of script creation: Refer step 4). 13. It goes to ‘MM01’ transaction as follows. 14. Record the steps as required. 15. After completing the recording, click on Stop Recording. 17. By double clicking the interface we can observe all the recorded steps. This part includes recording of START script. Click on Launch with URL. 3. Enter the SDC (System Data Container), Target System and URL. 5. Chrome tab will be opened according to the URL details given. 6. 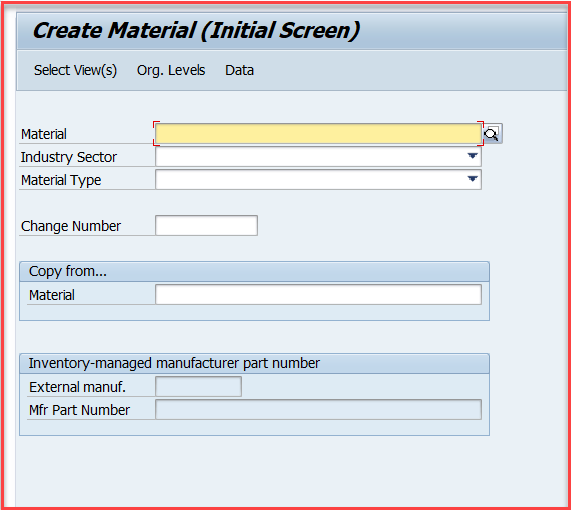 Record the required steps with importing and exporting parameters. 7. Click on Stop Recording in the Recording Panel. 8. The script is generated with the steps recorded. 10. 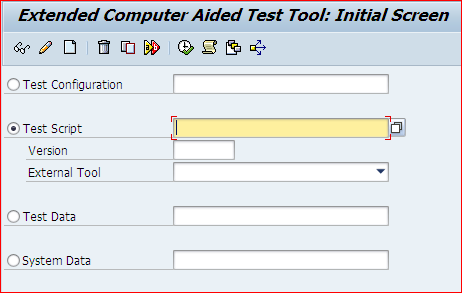 Enter the Test case and Test case description in Test case details dialog box. Combining ECATT and START script into single(wrapper) script. The wrapper script is created in the same way the ECATT script is created in PART- I. 2. Enter the Test Script name and click on Create. 3. Click on Save icon. 4. Save as Local Object. 5. Click on Editor and click on Pattern. 6. Enter the Group, Commands and Target system. 7. 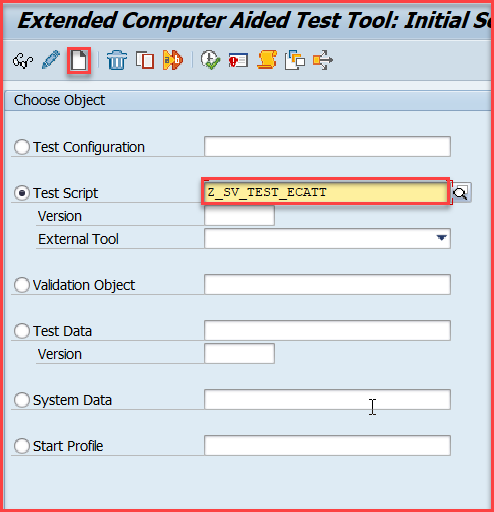 Enter the Test Script (Ecatt Script which is created in PART – I). 9. By double clicking on the reference we can observe all these parameters. 11. Enter the Test Script name (START script which is created in PART – II). 12. The reference for ECATT and START is created. 13. The exporting and importing parameters can be made from one script to another. 14. We can test the script by executing it (Press F8). 15. 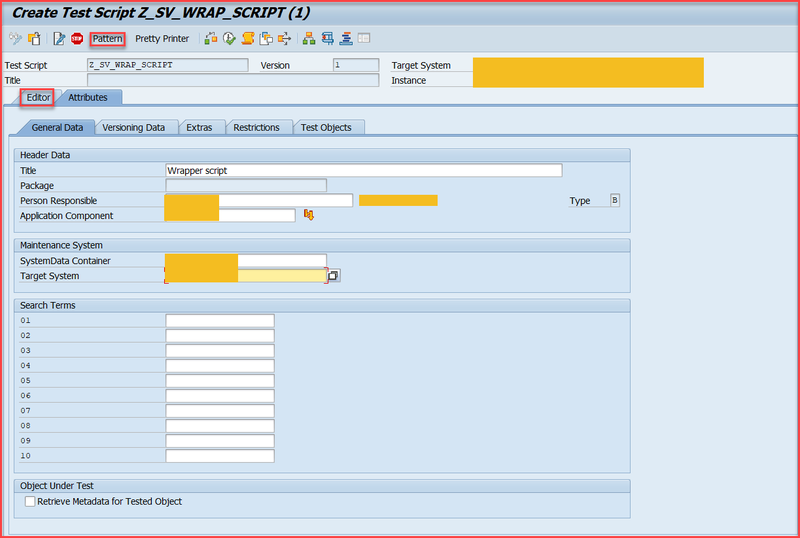 Logs of the script can also be checked (Ctrl+F12). 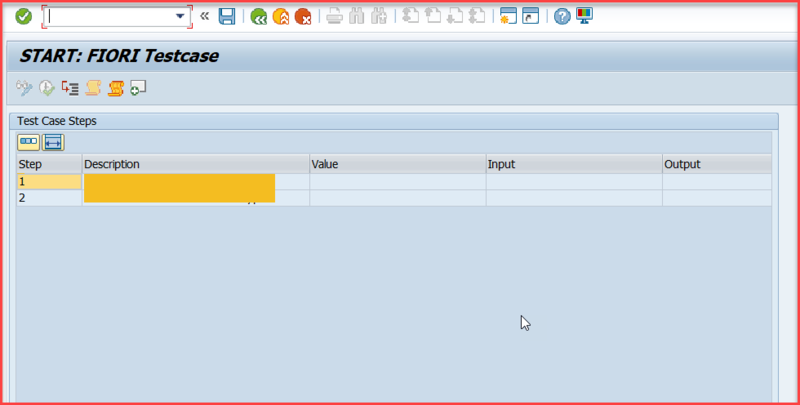 In this way we can combine multiple test scripts to test end to end business scenarios. The problem with these tools is just that the customers don’t use them for their intended purpose. 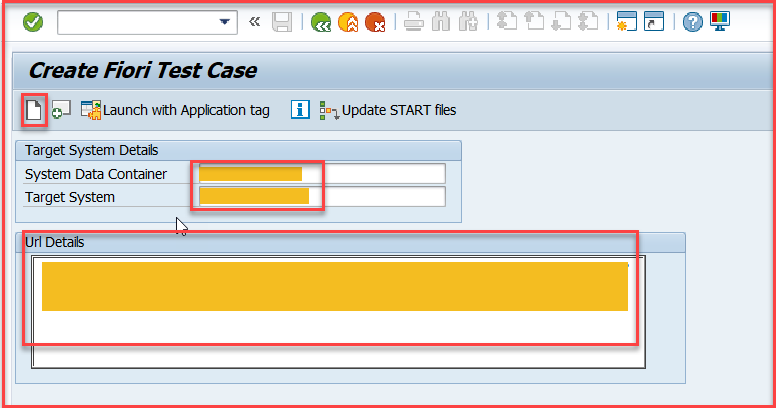 SAP actually uses Test Case Management internally but I’ve never seen a customer do it. They all use HP QC or another app.